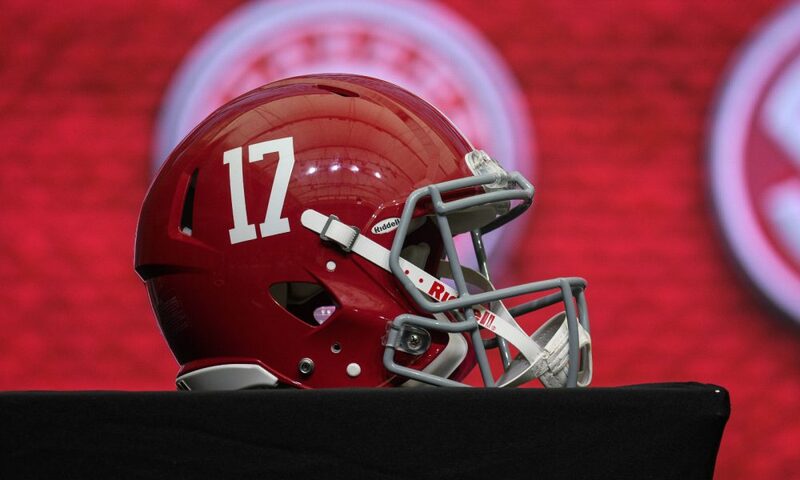 Another quarterback from the University of Alabama is in the transfer portal. After losing Jalen Hurts to Oklahoma, Luke Matheson of the RedWolfReport.com — part of Rivals network – reported on Monday that Layne Hatcher is expected to transfer to Arkansas State and cited his father (Greg Hatcher) as the source. Hatcher, a native of Little Rock, Ark., was a household name at Pulaski Academy and led the program to four straight Class 5A state championships from 2014 to 2017. He was the Gatorade Player of the Year for the state of Arkansas as a senior in 2017 and totaled 15,483 passing yards with 185 touchdowns in his tenure. The 6-foot, 212-pounder turned down a partial scholarship to Arkansas State and enrolled at Alabama as a walk-on. He operated the scout team offense in practice last season and was part of the Crimson Tide’s Southeastern Conference title team. RELATED: Has Mac Jones locked up the No. 2 QB spot for Alabama? With the expectations for Tua Tagovailoa to have another strong year and the trio of signal callers – Mac Jones, Taulia Tagovailoa and Paul Tyson — behind him, Hatcher has decided to chart his own waters and return home. He was 41-1 as starter in high school and now, he has an opportunity to show the Red Wolves of the Sun Belt Conference what he has gained from a winning program.